OXFORD, Miss. – The University of Mississippi and the city of Oxford will host the 44th annual World Championship Old-Time Piano Playing Contest and Festival this weekend. 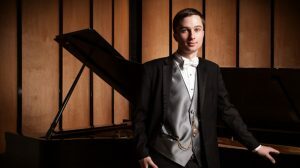 The comprehensive competitions, which run through Sunday (May 27), feature pianists ages 11 to 81 from the United States, Great Britain and France performing styles including ragtime, traditional jazz and blues. Competitors dress in period costumes and compete for cash prizes and trophies in their respective divisions. The contest has awarded more than $50,000 in prizes to more than 500 pianos players in the United States and five foreign countries. Besides the competitive events, the weekend includes workshops, guest artist performances, an old-time singalong, a silent movie luncheon with live piano accompaniment, a guided tour of the UM Blues Archive, a double-decker bus tour of Oxford and catered events with guest pianists. The weekend kicks off Thursday (May 24) with The Tune-ups Party at the Powerhouse Community Arts Center. All other after-hours events will take place at the Chancellor’s House hotel on the Oxford Square. The contest and festival began in 1975 as a fundraiser for the Monticello Railway Museum in Illinois. The mission of the event was to educate the public about ragtime melodies and other music written before the 1930s. The competition moved to Oxford three years ago, thanks to the efforts of Hominick. Between 300 and 500 people attend the variety of events throughout the weekend. “I think it is important to remember one’s musical roots,” Hominick said. “All art forms are a unique blend of what came before and will influence musical genres that come after. All events are family-friendly and are set at Nutt Auditorium in the Ole Miss Music Building unless otherwise noted. All-event passes are available for $190, which includes all contests, workshops and catered events. Day passes are $30 and single-event tickets are available for varied prices. 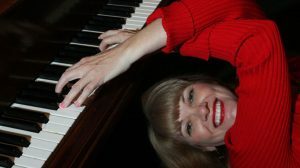 For more information and a full schedule of events, visit http://oldtimepianocontest.com.